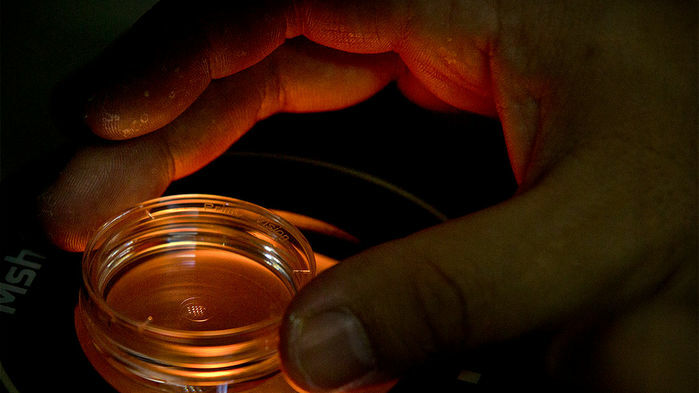 The committee stopped short, however, of endorsing the call for a “moratorium” on human germline editing issued last week by prominent group of researchers in a Nature commentary. “I don’t think a vague moratorium is the answer to what needs to be done,” said Margaret Hamburg, a co-chair of the WHO committee who formerly headed the U.S. Food and Drug Administration and now works with the U.S. National Academy of Medicine in Washington, D.C., during a teleconference for the media today. Several other high-profile statements and reports on genome editing have also avoided using the word “moratorium,” although they have similarly emphasized that too many risks and unknowns still surround this technology to use it for germline modifications—which could alter sperm, eggs, or embryos in a way that could pass changes on to future generations—even if the modifications are aimed at preventing life-threatening diseases. The committee met in the wake of the startling news in November 2018 that a researcher in China, He Jiankui, had used the genome editor CRISPR on the embryos of twin girls who subsequently were born. He and his co-workers say they attempted to cripple a gene in the girls to make their cells resistant to HIV infection. Researchers from around the world criticized the work for not being transparent, failing to address an unmet medical need, and not properly informing participants in the study of the risks. The Chinese government has condemned He’s work, he was fired from his university in Shenzhen, China, and a formal investigation is underway. Hamburg stressed that the committee has a “broader charge” than simply declaring a moratorium, and that it plans over the next 18 months to “delve deeply” into spelling out global standards and creating a “strong international governance framework” for “responsible stewardship” of the powerful technology. Hamburg offered few details about the proposed registry, such as who would operate it, but said it should include both germline experiments and the less ethically fraught studies that modify the genomes of humans in ways that are not inheritable. A dozen of those kinds of less controversial experiments, which modify so-called somatic cells and not reproductive cells with CRISPR and other genome editors, are underway and now listed in registries such as ClinicalTrials.gov, which is run by the U.S. National Library of Medicine. Hamburg explained that the committee would like publishers of scientific articles and funders of the research to require registry submissions for work they accept or support. “It is important for all of us to have a better understanding of what research is being done and I think it will create more of a sense of responsibility of the research community,” Hamburg said. The committee will send its recommendations to WHO’s director-general, who ultimately decides whether to act on them. Previous Post Has a second person with HIV been cured?